A public servant rarely writes his autobiography because he is hoping to be recalled till his last day. I have seen ministers from Nehru’s days remaining silent for decades in the hope even of jumping off the bier and running back in case the prime minister recalled them to national duty. But former cabinet secretary B.G. Deshmukh has chosen to remain in Bombay, serve many social causes and write of past national events of which he knows much. This book of his years with three prime ministers as cabinet secretary and later, principal secretary to the prime minister, makes fascinating reading. It was an eventful period—the strange governments of V.P. Singh and Chandra Shekhar, national elections, overthrow of the Congress, the play of ambitions in Delhi’s power game, including the desperately aspiring field marshal K. Sundarji and T.N. Seshan who turned from tiger to pussycat. Writing with the calm dissection of a cabinet secretary in the British mould, Deshmukh demolishes other giants like Chaudhary Devi Lal, a Greek god of six feet four with a Mario Caruso voice. Deshmukh is rough on Lal, which I can understand. How, after all, can a calm and almost cold Maharashtrian understand the emotional, erratic, effervescent people’s choice Haryana Jat? But his cameo on Giani Zail Singh, saying little, hiding some, is more affectionate. Bofors, the Mandal imbroglio, Punjab, Kashmir and many other national events, figure here. Events and personalities, some dead and many alive and still active in governance, flit across these pages. To take one example, Gen Sundarji, Arun Singh, defence secretary S.K. Bhatnagar, Arun Nehru and Seshan, all figure in a frank discussion of defence matters. "Arun Singh, minister of state, was completely bowled over by the top brass. It was openly said that the military chief would tell him what to do and he was happy to fall in line; he took many decisions, even major ones, on behalf of Rajiv Gandhi." Sundarji would not attend the defence secretary’s meetings and Deshmukh writes of a spat where he put him down in a meeting before the prime minister. Sundarji, according to him, was Gen B.M. Kaul-like: a self-imagined marshal out of control. Deshmukh writes, "Sundarji had made up his mind to get the baton of Field Marshal." He also tried hard to have his nominee, Gen B.C. Nanda, succeed him rather than Gen V.N. Sharma, who ultimately did. Deshmukh also writes extensively on the subject of Bofors. 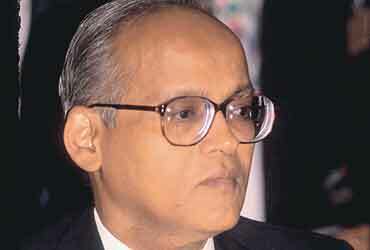 He came to Delhi in September 1986 as cabinet secretary and then became principal secretary to Rajiv Gandhi in 1989. He continued as such with V.P. Singh till he left finally in December 1990. 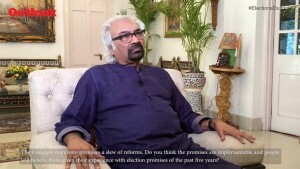 He has written in some detail of what he participated in and saw on the Bofors issue, including the important players involved. He is clear that Rajiv’s integrity was beyond doubt and his image was being tarnished. Recently the Delhi High Court too has cleared Rajiv. The question that I ask is, why did it take the prosecution and the judiciary 17 long years? Another prime minister, Narasimha Rao, was dragged into court for 10 years, on a chutneywala’s frivolous complaint. A similar thing happened to a scientist some years back, in Thumba, Kerala. There are many more such cases. The Liberhan inquiry into Rajiv’s death started in the last century and seems likely to go on into the next. Who is responsible for the decades of torture, and destroyed lives? Agree or not, the Hutton inquiry finished in a few months with clear judgements. In India, the prosecution and judiciary can go on for ever, and finally walk away without a thought for the innocent victim. While Deshmukh has recorded much and it is a valuable contribution to the history of the period, I can still sense that he has left much that he might have added. I hope one day he will, for I do believe Indian history has tremendous gaps. I wish Nehru had written of his 17 years in power. When he did not, I tried desperately to persuade Sardar Swaran Singh, who in my view was the minister closest to him and in a very high position, and could have left something to justify Nehru’s many decisions for the centuries to come. Sadly, he did not. Dr Alexander, I wish, would now write down frankly and fully all that he knows from Mrs Gandhi’s prime ministership on, of many momentous events in India’s history. If he still does not wish to annoy the living or the dead, he could write it and leave it for publication 30 years hence. I also plead and demand that as in real democracies like the UK and US, all government documents should be laid bare after 30 years. Let the decision-makers face the calm historical judgement of the people. I’ll miss the birds in my garden, but will they miss me?